Vampires, stand-up comics, and a double dose of Paul Rudd are all heading to various streaming platforms. Netflix, Hulu, and Amazon have released new previews and info for several of their upcoming programs and films. Magic For Humans (Netflix, August 17) - From baffling people on the street to orchestrating elaborate tricks, Justin Willman blends good-natured magic with grown-up laughs. Stay Here (Netflix, August 17) - Designer Genevieve Gorder and real estate expert Peter Lorimer show property owners how to turn their short-term rentals into moneymaking showstoppers. The After Party (Netflix, August 24) - When an aspiring rapper goes viral for all the wrong reasons, he thinks his career is over. But when his best friend gets them into a wild NYC after party, he gets one more chance to make the impossible happen. The Innocents: Little Secrets (Netflix, August 24) - When teenagers Harry and June run away from their repressive families to be together, they’re derailed by an extraordinary discovery - June’s ability to shape-shift. As the star-crossed lovers struggle to control this strange new power, a mysterious professor reveals that June is not alone: there are more shifters out there like her, and he promises to cure June and reunite her with the mother who deserted her three years ago. But as their journey becomes increasingly fraught with danger, Harry and June's love for each other is tested to breaking point and they're faced with a choice: keep their innocent dream alive, or embrace that their lives have changed and risk everything. Created and written by Hania Elkington and Simon Duric, who also executive produce, The Innocents stars Sorcha Groundsell as June, Percelle Ascott as Harry and Guy Pearce as Halvorson. Elaine Pyke, Charlie Pattinson, and Willow Grylls of New Pictures serve as Executive Producers, along with Farren Blackburn. Blackburn directed six of the eight episodes. Maniac (Netflix, September 21) - Set in a world somewhat like our world, in a time quite similar to our time, Maniac tells the stories of Annie Landsberg (Emma Stone) and Owen Milgrim (Jonah Hill), two strangers drawn to the late stages of a mysterious pharmaceutical trial, each for their own reasons. Annie’s disaffected and aimless, fixated on broken relationships with her mother and her sister; Owen, the fifth son of wealthy New York industrialists, has struggled his whole life with a disputed diagnosis of schizophrenia. Neither of their lives have turned out quite right, and the promise of a new, radical kind of pharmaceutical treatment—a sequence of pills its inventor, Dr. James K. Mantleray (Justin Theroux), claims can repair anything about the mind, be it mental illness or heartbreak—draws them and ten other strangers to the facilities of Neberdine Pharmaceutical and Biotech for a three-day drug trial that will, they’re assured, with no complications or side-effects whatsoever, solve all of their problems, permanently. Things do not go as planned. Maniac is created by Patrick Somerville, and directed by Cary Joji Fukunaga. The Kindergarten Teacher (Netflix, October 12) - Maggie Gyllenhaal plays a Staten Island kindergarten teacher who, when she discovers what may be a gifted five-year-old in her class, becomes fascinated and obsessed with the child, spiraling downward on a dangerous and desperate path in order to nurture his talent. 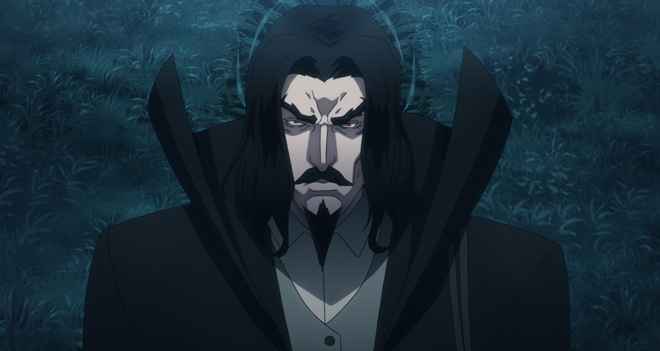 Castlevania: Season 2 (Netflix, October 26) - Inspired by the classic video game series, Castlevania is a dark medieval fantasy following the last surviving member of the disgraced Belmont clan, trying to save Eastern Europe from extinction at the hand of Vlad Dracula Tepe himself. The animated series is from Frederator Studios, a Wow! Unlimited Media company, written by best-selling author and comic book icon Warren Ellis and executive produced by Warren Ellis, Kevin Kolde, Fred Seibert and Adi Shankar. In addition, Netflix is also prepping a new 8-episode comedy series called Living With Yourself. 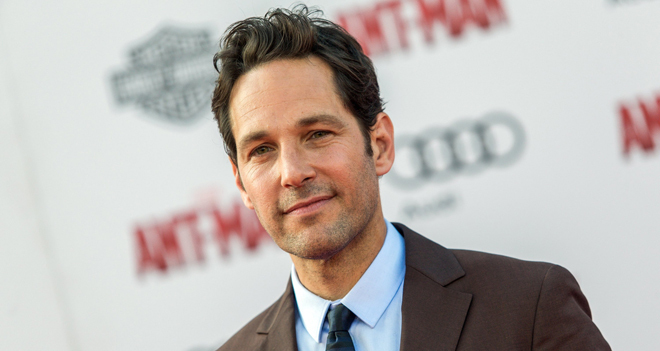 The show stars Paul Rudd as a man struggling with his life who undergoes a novel treatment to become a better person, and finds he’s been replaced by a new and improved version -- revealing that his own worst enemy is himself. Timothy Greenberg serves as creator, showrunner, and executive producer. An exact release date has not been announced yet. Safe Harbour (Hulu, August 24) - On a yachting holiday from Darwin to Indonesia, five Australians come across a broken-down fishing boat, full of desperate asylum seekers. The Australians decide to help, towing the refugees, but when they wake the next morning the fishing boat is gone. Five years later they meet some of the refugees again and learn the truth. Someone cut the rope between the two boats and, as a result, seven people died when the fishing boat sank. The revelation drives a wedge of mistrust between the Australians, as they grapple with protecting themselves and doing the right thing. The refugees struggle with their desire for justice and, possibly, revenge. Old secrets come to light, relationships are shattered and lives are put in danger. And one question hangs over it all – who cut the rope? The Marvelous Mrs. Maisel: Season 2 (Amazon Prime Video, Coming Soon) - In 1958 New York, Midge Maisel's life is on track- husband, kids, and elegant Yom Kippur dinners in their Upper West Side apartment. But when her life takes a surprise turn, she has to quickly decide what else she's good at - and going from housewife to stand-up comic is a wild choice to everyone but her. The Marvelous Mrs. Maisel is written and directed by Amy Sherman-Palladino (Gilmore Girls).